Hipot testing applies high voltage to the cable to check for good isolation between wires. If the test detects current flowing anywhere that there should be no current, the cable fails the test. Hipot testing sounds simple, but there are more things to consider when choosing to include high voltage testing in your process. Different cables can cause different errors that must be considered during hipot testing. For example, highly capacitive cables, cables containing components, and cables with small pitch connectors can account for different errors during high voltage testing. Make sure you understand how to hipot test these kinds of cables without causing damage or creating failures. When in doubt over hipot testing, A-620 has the answer. This guide contains the industry standards for what is acceptable when it comes to cable assemblies. For example, A-620 explains when a cable should be tested using high voltage and when low voltage testing is sufficient. High voltage testing is useful for finding errors that could go overlooked during the low voltage test. Not every cable needs to be tested with high voltage. Be careful using high voltage on cables that are highly capacitive or contain components. If you are in doubt about whether to hipot test your cable, consult A-620. 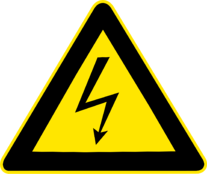 Learn more about high voltage testing in the Cirris Learning Center. What Do All Those Components Do?